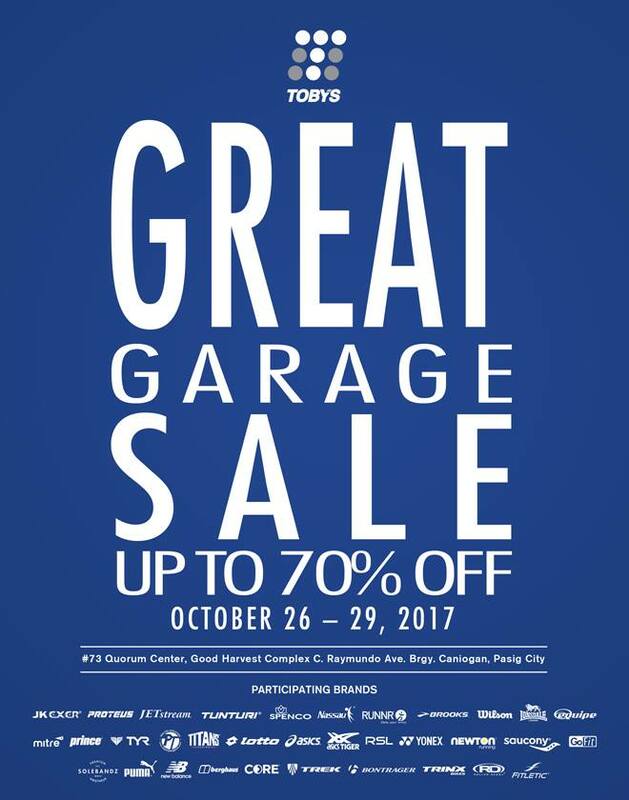 Check out Toby's Great Garage SALE happening on October 26-29, 2017 at Toby's Warehouse in Pasig. 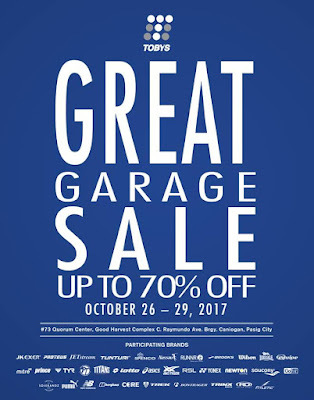 Get up to 70% off on your favorite sports brands like RUNNR, Brooks, Asics, Asics, Asics Tiger, New Balance, Saucony, Newton, Puma, TYR, Wilson, Prince, Yonex, and more! Please call 651-7777 for more info.